New, extremely robust and aggressive hard metal plate with centering point. Long working lige and resistance to breakage, reinforcement hits; easy, accurate centering and fast drilling, no blade wander of the drill. Attenuates oscillations, thereby protecting user and machine; resistance to breakage is minimized; maximum energy transfer from the machine to the drill spiral. Saw dust removal directly behind the hard metal plate, fast saw dust evacuation despite reinforced core, no fulmintation of the saw dust. To compress the surface, make the drill more resistant to bending stress and ensure long working life. Guaranteed compliance with the requirements of the Institute for Structural Engineering for hard metal hammer drills used for the manufacture of holes of dowel plugs. Ideal for manufacturing clean cutting edges. The top disk for the fastest cutting and long working life. Ideal for effortless and rational drilling and socket cutting when installing electrical and sanitary fittings. Galvanized diamond drill for extremely hard materials. High value diamond cutting wheel for universal application. Suitable adapters and centering drills must be ordered seperately! For use with extremely hard woods, coated panels and plastics with high-RPM hand drills. 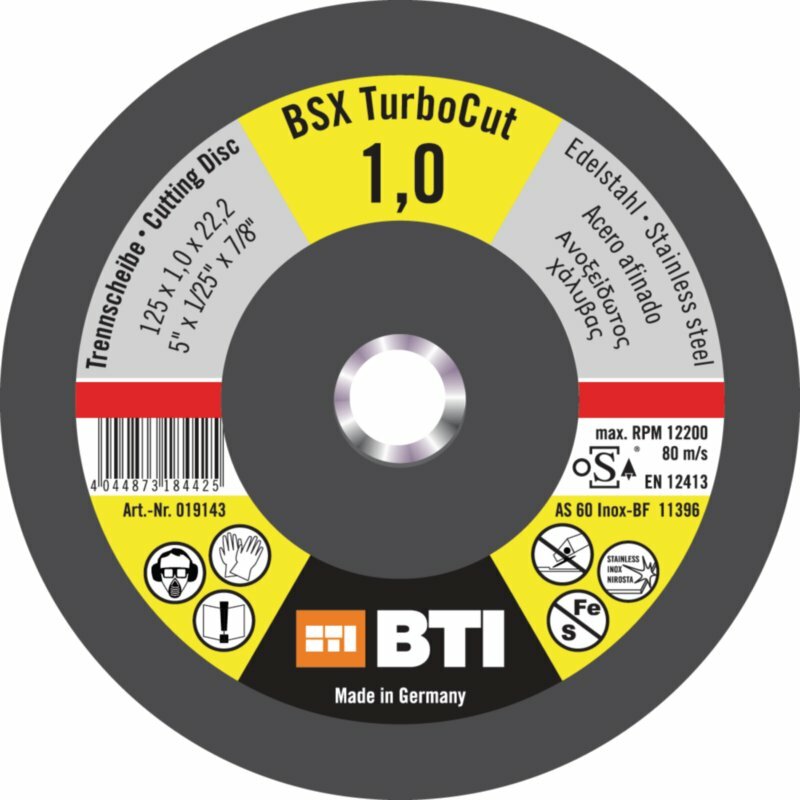 Top quality cutting edges- the right saw blade for every purpose and almost all materials. Multi-purpose drill for different construction materials. With the BasicCut line saw blades you cut very fine. Our ExpertCut line is suitable for rough cuts. Aluminum, non-ferrous metal and soft steel have no chance. The LonglifeCut line is distinguished by its fast and fine cut. It is perfect for metal and softening. The SpecialCut metal saw blade is the top product in this category. It has more teeth in the material and a very long service life. With the ExpertCut Wood saw blades you can quickly and easily cut through hardwood and softwood and wood with nails and plastic. Materials such as plywood, glued wood, fiber boards / chipboard and coated panels are also perfectly cut with the WoodLine saw blades. The universal line of saw blades cut through metal and wood with nails without problems. Chisel bits can be reforged and reground. Hardened surface due to shot blasting. Laser compressed material for higher resistance to bending stress. Risk of injury, due to hooking of the drill when it hits against reinforcements, is reduced, easy centering and fast drilling, as there is no wandering of the drill. Saw dust removal directly behind the hard metal panel, faster saw dust removal, no fulmination of the saw dust. Guaranteed compliance with the requirements of the Institute for Structural Engineering for hard metal hammer drills, that are used for the manufacture of holes of dowel plugs. The most popular stone drill Supra from diameter 5 to 10 mm in a plastic case. Drill diamter 6mm: cylindrical shaft, from drill diameter 7mm: hexagonal holder. Suitable for drilling of hardboards, chip boards, pine, beech, oak and similar timbers and dowel holes. Recommended speed: 3,000 - 5,000 rpm. Consists of 1 piece each WS Forstner bit 25, 15, 20, 30, and 35 mm in a beech wood case. Consists of 1 piece each WS mortice bit drill 25, 15, 20, 30 and 35 mm in a beech wood case.